Classic colorway makes a return on the fan favorite Zoom SB Bruin. Now available at select Nike SB retailers. 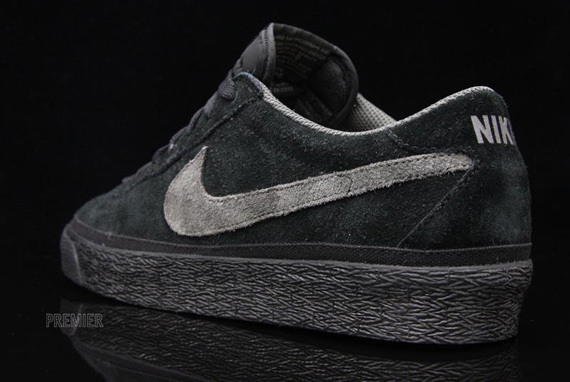 Just like the previously shown Zoom Paul Rodriguez 4, we have a clean make up of the Sb Zoom Bruin arriving in black and grey as well. 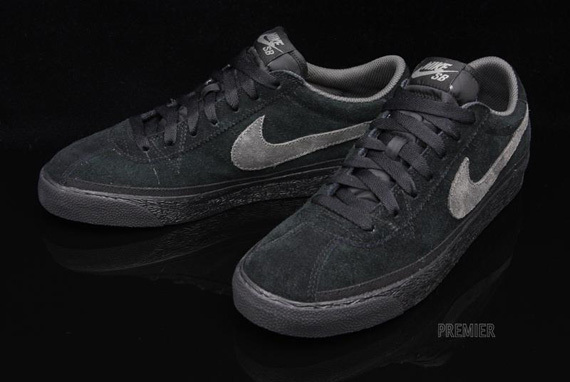 Making use of a never go wrong colorway, the fan favorite Zoom Bruin SB makes use of a predominantly black suede upper. 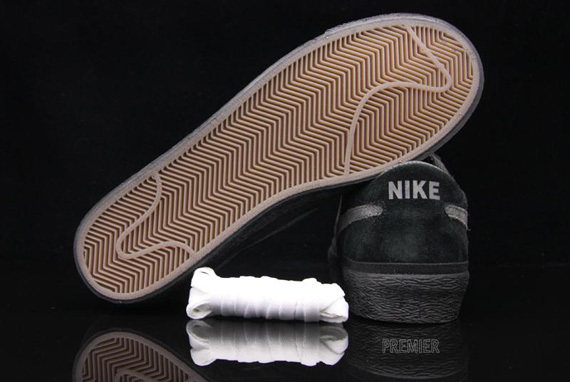 Midnight fog covers the suede Swoosh, as well as the tongue and heel branding, breaking up the complete black construction. 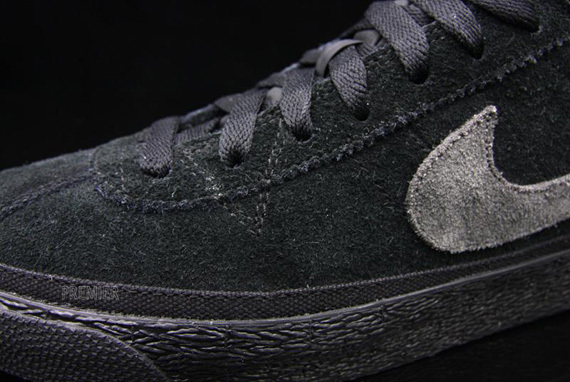 A black vulcanized is also seen,combining with a gum outsole below. Look for this latest Zoom Bruin SB to arrive any day now at your local Nike SB retailer.